This coming week is the Warm Wintery Words event, a Christmas celebration at Eller Coffee, Station Road, Ossett. Alongside Yew Tree Youth Theatre and Gawthorpe Junior Brass, we are delighted to welcome back Loz Campbell to sing for us. Here’s a brief interview which she kindly fit into a busy schedule. When did you decide you wanted to be a performer? 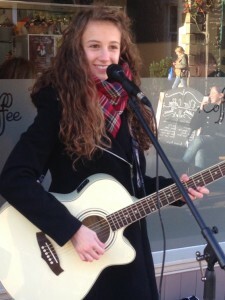 From an early age I have always loved music and was always keen to learn new instruments I currently play five. It first started when I was invited to play at an open mic night and as soon as I had finished performing I had caught the performance bug as they say and I haven’t stopped since! What are your highlights of 2014? It’s been a fantastic year and things have moved so fast because this time last year I wasn’t even singing. One of my main highlights is definitely performing at The Long Division festival in the summer I got to meet lots of artists that are local and brilliant. Another highlight was making my EP which I had dreamt of doing for years! How did you find recording your EP compared to playing live? It was challenging but great fun, the reason for me saying it was challenging is because there’s no room for errors in a recording studio. And I would like to thank James at Top Five Studios for being so patient with me because I am a perfectionist! How do you go about writing your own songs? Some people might disagree but I don’t believe there is a structure to writing a song I think it comes from within and it’s definitely not something you can rush. 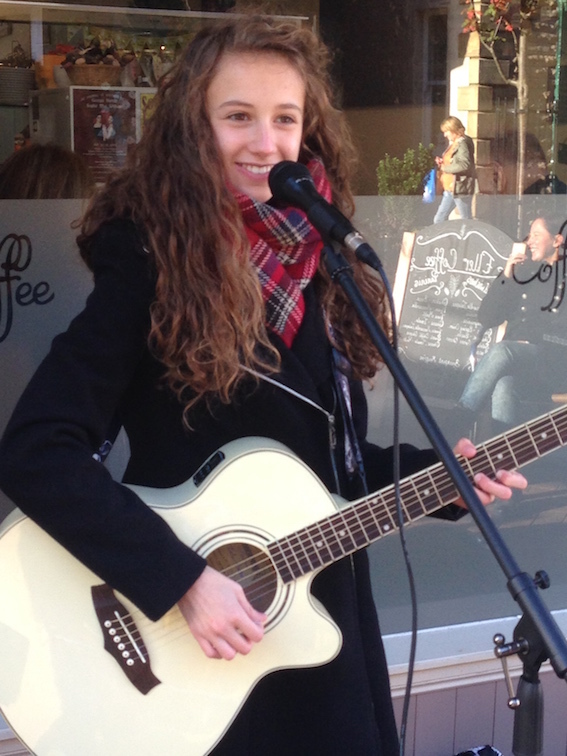 I always say I have to be ‘in the zone’ to write a song and when I am, lyrics/chords come so easy I love it! However sometimes I will just make up a chord sequence and come back to the lyrics when I’m ‘in the zone’ or vis versa. It’s looking pretty busy and exciting with a couple of festivals and gigs booked including the folk festival at Unity Works sometime in March. I will also be back in the studio in February so keep your eyes pealed and your ears open. 14 Station Road, 01924 272006.